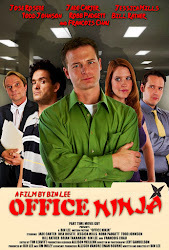 Office Ninja: Meet Robb Padgett! In case you missed it, here are additional pictures from the private screening. And now, meet Robb Padgett, who plays Jett! Also, I'm only going to do this blog once a week so I can dedicate my time to a new project.